Winter in North Carolina can be unpredictable, but one thing that can be predicted: if not properly maintained, your furnace could stop working on the coldest night. There’s nothing worse than waking up to a freezing home. That’s why we’re here for you 24 hours a day, seven days a week so you can count on us for all of your metro Raleigh heating repair needs whenever an issue occurs. Our furnace repair technicians bring experience and knowledge to your home, ready to resolve any heating issues you may have. 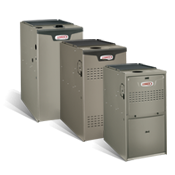 While we are a Lennox Premier Dealer, we can service and repair furnaces, heat pumps, and heating systems of all brands, makes and models. For more information about how we can help your metro Raleigh home and family stay comfortable throughout the cold months, contact us. Lennox® is your source for the most efficient and quietest heat pumps you can buy. 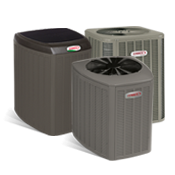 Whether to heat or cool your Raleigh area home, we offer a complete line of Lennox® high efficiency heat pumps, providing you with year-round comfort. Furnaces, heat pumps and heating systems need regular maintenance to help ensure they are running at their peak efficiency. We know that many people decide not to have their home’s heating system professionally maintained because they think it’s either not necessary or that it is too expensive. But deciding to forgo routine HVAC system maintenance can end up costing you more in the long run due to future furnace repair or replacement costs. And when your heating system is not running at peak efficiency you will likely be paying more in utility bills. Weather Master Heating & Air Conditioning offers a comprehensive HVAC maintenance program called CAIRfree that will keep your HVAC system properly maintained throughout the year. Learn more about our CAIRfree Comprehensive Maintenance Agreement and its additional benefits. Checking the heat exchanger, flue drat, safety controls and gas pressure. We also clean the ignition assembly, burners and pilot assembly. At Weather Master Heating & Air Conditioning, we want your Raleigh area home’s heating system to run properly, last longer, and avoid sudden breakdowns that could leave you in the cold.